Printed fabric novelties were popular promotional devices in the early twentieth century, a signal of the growing influence of marketing in American material culture. 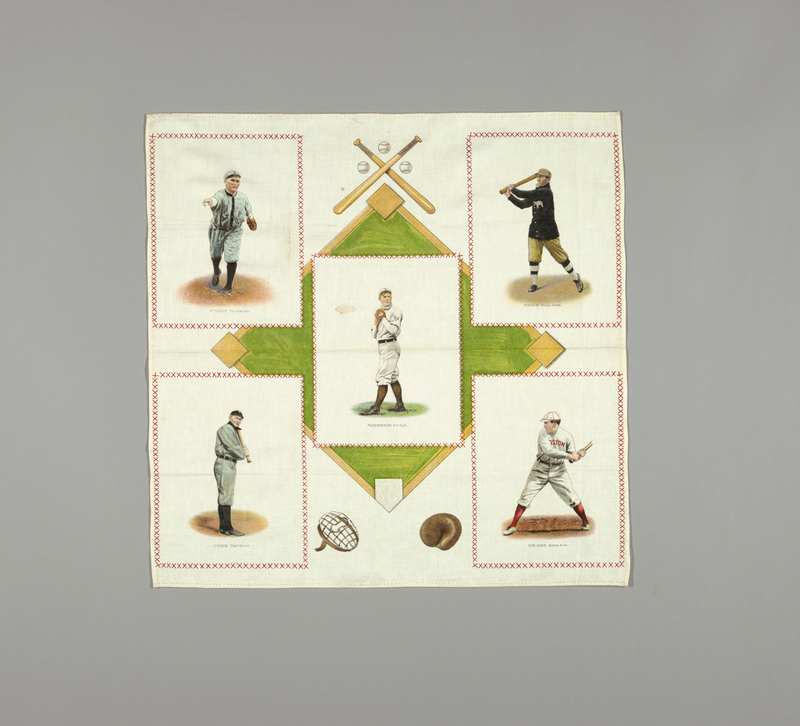 This souvenir square, dating from 1912 and featuring baseball greats Christy Mathewson and “Home Run” Baker, among others, was a premium offered by Helmar and Turkey Red Tobacco companies in exchange for 100 coupon inserts. The five rectangules have red cross stitches printed around their edges, in imitation of 19th century cigarette silk quilts. Cigarette silks were small pieces of printed satin inserted in tobacco packaging. Typically no more than 2.5 inches high and 1.5 inches wide, they were often patched together into quilts and table coverings, following instructions published in ladies’ magazines such as Godey’s Lady’s Book.